Nicole E. Crabtree focuses her practice on first party insurance defense. 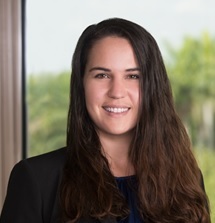 Nicole E. Crabtree focuses her practice on first party insurance defense. She has successfully represented many insurance companies based in Florida, effectively saving them hundreds of thousands of dollars. Ms. Crabtree also has experience in involving personal injury matters. Ms. Crabtree takes an honest approach to assessing and evaluating the strengths and weaknesses of each case, and offers various litigation strategies in the best interest of her client.